Take a look around to find out more about us. 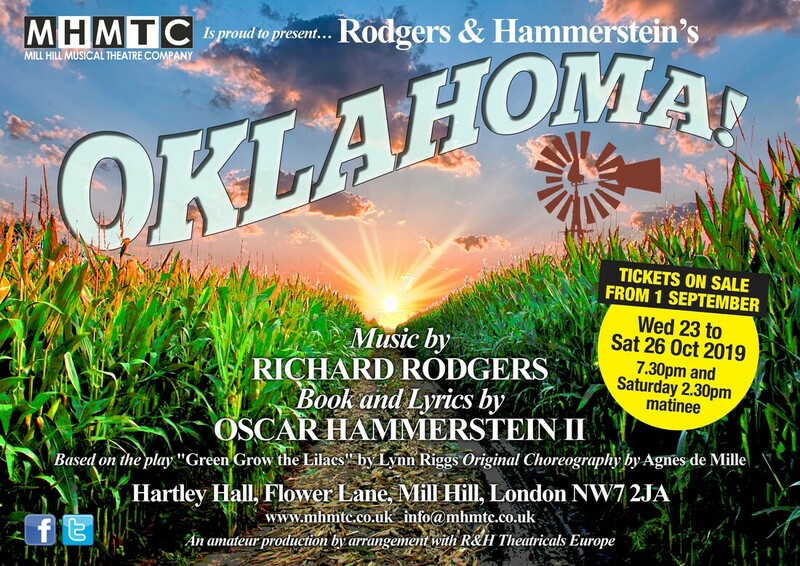 We're so excited that our next show is the all-time classic musical Oklahoma! One of Richard Rodgers and Oscar Hammerstein II's best productions, the first Broadway staging ran for a world-record five years! Based on Lynn Riggs’ play Green Grow The Lilacs and set in 1906, it tells the story of farm girl Laurey and her romances with cowboy Curly and surly farmhand Jud Fry, against the backdrop of their Indian territory bid to become a state of the US Union. Oklahoma! has a list of hit songs as long as your arm, including Oh, What A Beautiful Morning, Surrey With The Fringe On Top, People Will Say We’re In Love and I’m Just A Girl Who Caint Say No. First rehearsal : Monday 8 April 8pm at Hartley Hall, Flower Lane, Mill Hill, NW7 2JA. Our February Quiz Night was a huge success - thanks for everyone who came. Our next Quiz Night is on Saturday 21 September at Trinity Church, see poster right. Please use this form to contact us for information on our upcoming performances, or on how to become a patron or member of the society. We are always delighted to welcome new members!